Did you receive an employment termination payment in 2013? Are you a Senior or Pensioner and a Foreign resident? Are you entitled to a tax offset? With the certainty of the 2013 Federal Election being held on 7 September 2013, for the last few weeks, the Government has been in Caretaker mode. Until the Election passes and the new Government settles in, apart from Election promises made, we are unlikely to see much activity in the tax space. participation in tax planning schemes. certain payments to contractors in the building and construction industry. To assist taxpayers to prepare their tax returns, the ATO issues a guide about claiming work-related expenses for particular industries. Guides for members of industries, such as tradespeople and business professionals, can be found on the ATO website. There may be a guide available for your particular industry. Speak to your tax agent if you have any concerns about the ATO Compliance Program and how it may affect you in preparing your tax return. If your income falls under the tax-free threshold for the 2013 income year, that is it is less than $18,200, generally you should not have to lodge a tax return. However, there are certain reasons why you may still need to lodge a tax return form with the ATO. if you were an Australian resident for tax purposes and had exempt foreign employment income and $1 or more of other income. If you are unsure about whether you need to lodge a tax return for the 2013 income year, talk to your tax agent. They will be able to advise you. Even if none of the reasons listed above apply to you, it is worth double-checking with your tax agent to ensure you meet any obligations you might have that you did not know about. With the introduction of the Government’s new initiative, DisabilityCare Australia, comes an increase in the Medicare Levy. From 1 July 2014, the Medicare Levy will increase by 0.5% to 2% to assist to fund the DisabilityCare Australia program. All proceeds raised by the 0.5% increase to the Medicare Levy will go into the new DisabilityCare Australia Fund. This change will affect your 2014 tax return onwards. Given the changes to how the rebate for private health insurance is to apply, the ATO has included a detailed explanation on its website. In the table below is a quick summary of how the rebate phases out according to your income level for individuals and families (with persons under 65 years old) for the 2013 and 2014 income years. To ensure that you are claiming the right amount of the rebate, talk to your tax agent to ensure you get it right. Taxpayers who claimed the NMETO in the current year (2012-13) will be able to continue to claim the offset in the 2013-14 income year if they have eligible out-of-pocket medical expenses above the relevant thresholds. Taxpayers who are eligible to claim the NMETO in the 2013-14 year can continue to do so in the 2014-15 year. Until 1 July 2019, the NMETO will continue to be available for certain out-of-pocket medical expenses only (disability aids, attendant care or aged care expenses) when the DisabilityCare Australia program is expected to become fully operational and aged care reforms have been in place for several years. If so, you need to be aware of the fact that there have been some changes to the taxation of employment termination payments (ETP) that apply from 1 July 2012. The ETP section of the PAYG payment summary now includes a spot where an ETP code has to be included. The codes describe the type of payment the ETP is and will ensure the correct rate of tax is applied. Your employer should be using these new codes. Similarly, you will also need to include the relevant codes in your 2013 income tax return. This will ensure the ATO system “knows” what type of payment your ETP is and will apply the correct rate of tax. Your tax agent will be able to assist you to ensure that the correct code is included in your tax return when completing the ETP section. If you have received an ETP and no code has been included in your PAYG payment summary, you will need to contact your employer to have this corrected. Recently, amendments were made to the Regulations which govern how the “seniors and pensioners tax offset” (SAPTO) applies to foreign residents. The amendments correct an unintended consequence arising from amendments to the regulations which took account of changes to the personal income tax rates and thresholds made as part of the Government’s Clean Energy Future Plan in 2012. An amendment was required to reflect the fact that the former “pensioner tax offset” and “senior Australians tax offset” have now merged. The original amendment worked for the most part but had an unintended consequence in the 2012 income year for the amount of SAPTO available for transfer for foreign residents whose eligible spouse had taxable income greater than the tax-free threshold. Note that foreign residents are not usually afforded the benefit of the tax-free threshold. From 1 July 2012, businesses in the building and construction industry will need to report to the ATO each year the total payments they make to each contractor for building and construction services. The first Taxable payments annual report was due by 21 July 2013 (or by 28 July 2013 for those who lodge activity statements quarterly). An extension was granted to tax agents to lodge these reports on behalf of their clients to 26 August 2013.
consider making a voluntary disclosure if a mistake may have been made in a previously lodged tax return. Where the contractor voluntarily advises the ATO of any errors or omissions, any penalties that apply may be reduced. If you received such a letter, you should speak to your tax agent to confirm whether there is any action that you need to take and if there is likely to be any impact on your 2013 tax return. If you are an employee claiming work-related self-education expenses, these expenses will be subject to a cap of $2,000 from 1 July 2015 when this measure is intended to start to apply. Given a cap is intended to apply, some individuals may look to their employer to assist in funding their education expenditure. There could be FBT implications if the cost of education is salary-sacrificed by an employee or there could be other possible FBT implications for employers providing education to employees. There are also possible implications if you are a sole trader or if you derive personal services income. If, as part of your work or employment, you are required to undertake further education or choose to do so, this is a measure to keep an eye on. Your tax adviser will be able to keep you abreast of the progress of this measure. On 16 July 2013, the Treasurer, Chris Bowen, announced that the statutory formula to calculate car fringe benefits would be removed and that only the operating cost method would be available. The operating cost method requires log books to be kept over a twelve week period every 5 years as well as all costs associated with the car (eg registration, servicing, insurance) to be tracked for the purpose of calculating the value of the fringe benefit provided by an employer who provides a car to an employee. Note that this measure is just a proposal, though it is something employees who receive car fringe benefits from their employers should keep in mind and therefore is a measure that potentially affected employees should keep an eye on. A factsheet entitled "A fairer treatment for FBT on cars" >is available if you are interested in finding out more information about the proposal. If so, you should note that the ATO has put together a Property page on its website. It is a repository for easily accessible information relevant to all property related transactions. There may be information on this page to help you better understand your tax obligations at different points in the life-cycle of acquiring, owning and selling property. Property used to run a business. Of course, your tax adviser will always be able to assist you with any tax queries you have in relation to property ownership. From 1 July 2012, changes were made to the tax and superannuation laws to reduce the scope for companies avoiding liabilities and payments of employee entitlements. If you are a director of a company, you may have received a letter from the ATO if your company has unpaid pay as you go (PAYG) withholding amounts. The letter explains your obligations as a director and your personal risk in relation to your company’s PAYG withholding debt. The letter encourages directors to ensure their company addresses the outstanding PAYG withholding debt either by paying it immediately or establishing with the ATO an agreed payment arrangement. If you are a director and have not received a letter like this, depending on whether your company meets its PAYG withholding obligations, you may receive one in the future. It is worth bearing in mind your obligations in relation to the tax and superannuation laws. 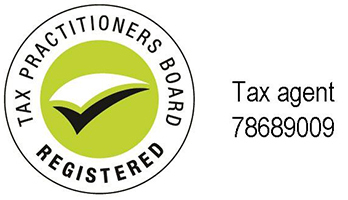 From 1 July 2014, tax advice provided by a financial planner in the context of providing financial advice will be subject to regulation by the Tax Practitioners Board, which also governs tax and BAS agents. If you see a financial planner and possible tax implications of investments are discussed, it may be worthwhile chatting to your registered tax agent to be certain of your potential tax obligations with investments you may be contemplating. From the 2012-13 income year, individuals who are high income earners with a combined income and concessionally taxed contributions exceeding $300,000 in an income year will have their concessional contributions made to their super fund over and above the $300,000 threshold subject to tax at 15% in the fund (which ordinarily applies to concessional contributions) with a further 15% payable. d) you may elect to withdraw up to 85% of the excess contributions. The amount withdrawn from the super fund is not assessable (nor exempt) income. The limit of 85% applies as the remaining 15% equates to the tax the super fund would have paid when the whole amount was received. If you have any concerns about the super contributions you have made or your employer has made on your behalf, it is a good idea to pull out your latest statement from your super fund and sit down with your tax adviser to go through it and see if any of the changes noted above may apply to you. On 31 July 2013, the ATO issued Taxation Ruling TR 2013/5 entitled "Income tax: when a superannuation income stream commences and ceases". This Ruling explains when a superannuation income stream commences and when it ceases, and consequently when a superannuation income stream is payable. These concepts are relevant to determining the income tax consequences for both the superannuation fund and the member in relation to superannuation income stream benefits paid. This Ruling applies with effect from 1 July 2007. If you receive an income stream from a superannuation fund or are likely to start receiving one soon, talk to your tax agent about what this may mean for you. The ATO has published on its website some useful information about the superannuation contribution and cap amounts that apply in certain circumstances.